The economy is improving, but few unemployed managers and executives are willing to start their own firms or relocate to take a new job, says the lastest job market analysis by global outplacement consultancy Challenger, Gray & Christmas. In fact, the firm says it is precisely because the economy is getting better than so few job seekers are willing to risk starting their own businesses. This entry was posted in Jobs and tagged Challenger, Gray & Christmas, Job Market Index, Jobs, risk-taking, start-ups, unemployed on February 15, 2011 by Roger Harris. Unemployed workers anywhere in the U.S. can get free job hunting advice next week. Global outplacement consultancyChallenger, Gray & Christmas plans to hold its 25th annual job search call-in on Dec. 27 and Dec. 28. From 9 a.m. to 5 p.m. CST, job seekers can call 312-422-5010 and speak to a job search counselor. This entry was posted in Jobs and tagged Challnger, Gray & Christmas, job search, Jobs, unemployment on December 21, 2010 by Roger Harris. Creation of new businesses fell sharply in the first half of the year, according to a report released today by global outplacement firm Challenger, Gray & Christmas Inc.
A Challenger survey found that 3.7 percent of job seekers chose to start their own businesses in the first six months of 2010, a substantial drop from a 7.6 percent rate for the same period last year. A variety of reasons are responsible for the decline in entreprenurial activity. This entry was posted in Small Business and tagged Challenger, entrepreneurial, Gray & Christmas, Jobs, survey on July 19, 2010 by Roger Harris. If you think your teenager is spending more time at home this summer, you aren’t wrong. The summer job market for teenagers could be the worst in decades, global outplacement firm Challenger, Gray & Christmas reported this week. Teen employment so far this summer is up 503,000, a 38 percent drop from the 809,000 teen jobs added in May and June a year ago, according to Challenger, Gray. John Challenger talks about the jobs situation for all age group on ABC News. This entry was posted in Jobs and tagged Challenger, employment, Gray & Christmas, Teen jobs on July 8, 2010 by Roger Harris. 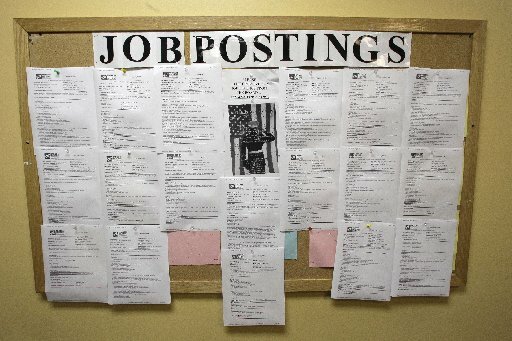 Job creation continues to be sluggish — the Labor Department reported today that the nation’s payrolls fell in June for the first time in six months and 652,000 jobless workers have given up looking for work. But there are slivers of good news if you look hard enough. Also in June, employers announced plans to cut 39,358 jobs, marking the the third straight month that planned job cuts were less than 40,000 and 47 percent less than the job cuts in June last year, according to a report released this week by global outplacement consultancy Challenger, Gray & Christmas, Inc. This is good news? Yes. This entry was posted in Jobs and tagged Challenger, Gray & Christmas, Job creation, job cuts, Labor Department on July 2, 2010 by Roger Harris. Is your CEO in trouble? Turnover among the nation’s CEOs jumped 10 percent in the first quarter, consulting firm Challenger, Gray & Christmas Inc. said in a report released today. Most of the 340 CEOS who left their posts so far this year either resigned or retired. Three left because of scandal or pressure from the board, according to the Challenger report. The number of new faces taking over in corporate America could increase as the economy improves, the report says. This entry was posted in CEOs and tagged CEO, Challenger, Economy, Gray & Christmas, resigned, retired on April 7, 2010 by Roger Harris.